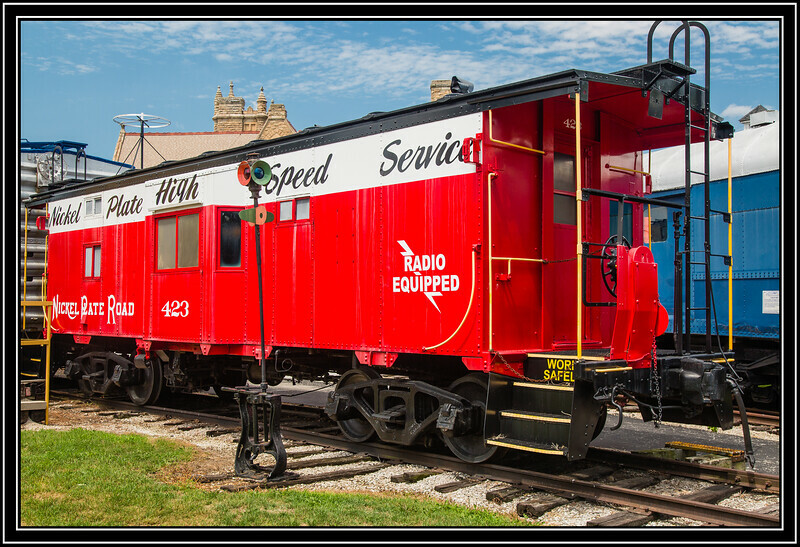 Nickel Plate Road Bay Window Caboose #423. Neat - fun composition and love the rich colors. Enjoyed browsing your current dailies collection Rick. One could not possibly miss this fiery beauty zooming past even if one tried !! The Ferrari of cabooses's !! Looks like a new paint job for a museum piece--doesn't look very "track-tested", as it isn't weathered and sports no graffiti! Fancy caboose! I suppose there would be some benefit to giving the crewman riding there a view up and down the track without him having to stick his head out a window. Nice bit of arcane railroading history. Wonderful shot, love the vibrant red! What a bright red, great shot! What a cool find. Very nice.